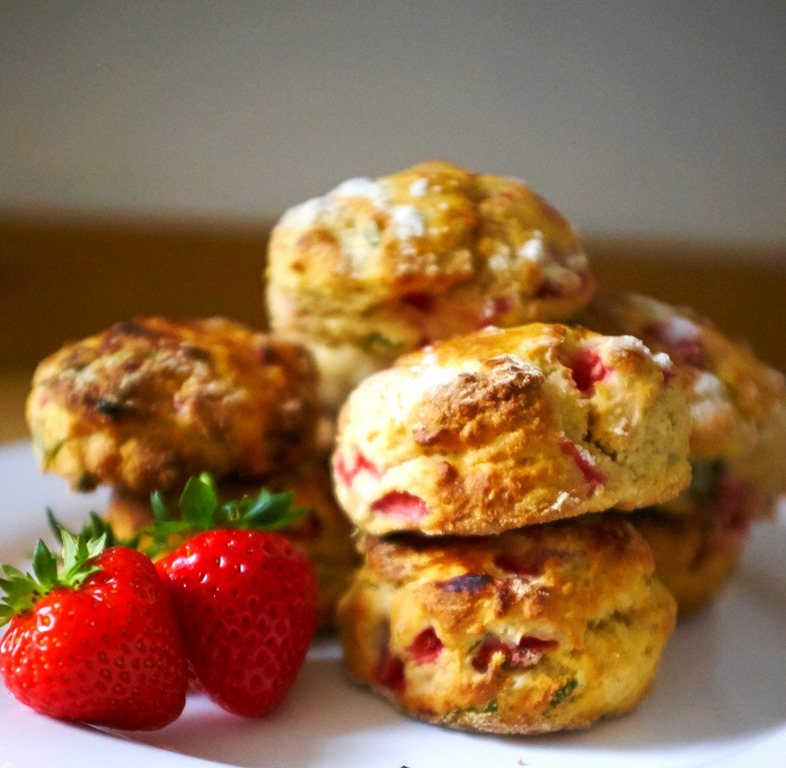 After a very successful trip to Craigies Farm to ‘Pick My Own’, I decided to use some of my haul of Strawberries to make some Strawberry and Basil Scones. I’m not really sure where I got this combination from but strange as it sounds; it actually works! 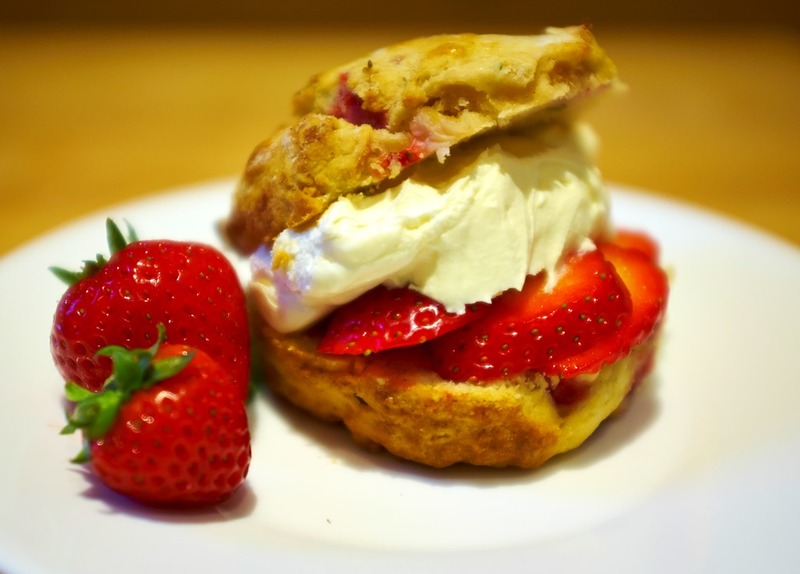 Basil is a herb that goes really quite well with Strawberries and surprisingly with the sweet dough of a scone. I’ve used my go-to Delia Recipe for the basic Scone Mix, and adapted it a little for the Strawberries and Basil. Add the Strawberries and Basil and mix well. Bake on the top shelf of the oven for 14-16 minutes, or until they are well risen and golden brown, then remove them to a wire rack to cool.